Bhishma: This name stands as a symbol for great sacrifices and a great warrior. Bhishma Mahabharata was the main character in great epic Mahabharat and he was the grandfather of both Pandavas and Kauravas in Mahabharata. Bhishma's father is Santanu, the king of Hastinapura. Bhishma's mother is Goddess Ganga, who is worshipping as Goddess by Hindus as a sacred river. 1) Parashurama: Bhishma was trained by Parashurama. 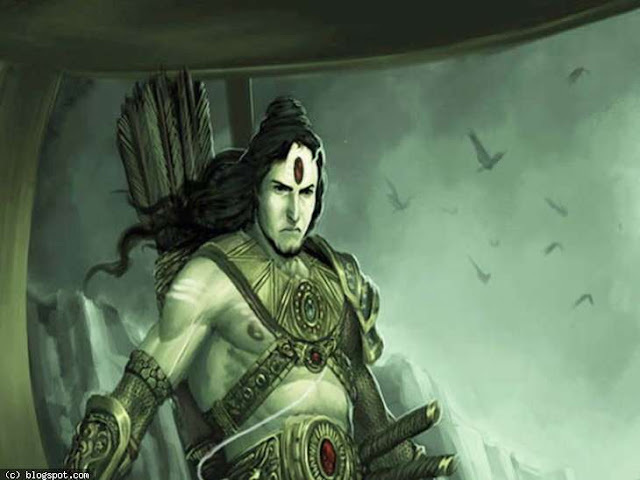 Parashurama taught him so many martial arts and archery skills. 2) Brihaspati: Brihaspati taught Bhishma all Shastras and Political Science. 3) Vasishtha: Vasishtha taught Bhishma about all Vedas. 4) Sanatkumara: Sanatkumara taught Bhishma mental and spiritual sciences. 5) Markandeya: Markandeya taught Bhishma the duties of Yati. Let me reveal the real birth story of mighty Bhishma. Once upon a time, there were eight Vasus. They were wandering in the forest and they came across the ashram of Vasishtha along with their wives. One of the Vasus named Prabhasa's wife was fell in love with a cow named Nandini and she wanted to steal that Nandini from Vasishtha. Other 7 Vasus tried to help Prabhasa to steal Nandini. But when Vasishtha came to know about this and cursed all 8 Vasus. He cursed them to born as mortals on earth and suffer all pains like normal human beings. All Vasus begged Vasishtha to forgive them. But due to curse could not be taken back, Vasishtha told that 7 Vasus except Prabhasa would get the short life on earth but Prabhasa who was the main person in this theft need to survive for long period on earth and he tried to steal the cow because of the desire of his wife, so in the life as a human he was cursed to not marry. Even though without wife and sons he would live the long life on earth. This is the story of 8 Vasus. Now come to actual birth od Bhishma. Santanu fell in love with Ganga and wanted to marry her. Ganga gave birth to 8 children. Those 8 children were nothing but Vasus who were cursed by Vasishtha in a previous life. Among those Vasus, Prabhasa was born as Devavrata. This Devavrata is none other than great Bhishma. This is the Devavrata alias great Bhishma story. Actually, he was called as Bhishma because he made Bhishma Pratigna. Generally, Bhishma Pratigna means a terrible oath. Devavrata made this vow for his beloved father. This story continues like these. Once Santanu fell in love with fisherwomen named Satyavati and wanted to marry her. But Satyavati's father put one condition to marry him. That condition was after Santanu, the sons who born from Satyavati would inherit the throne of Hastinapura. But already Santanu has son Devavrata who born from Ganga. 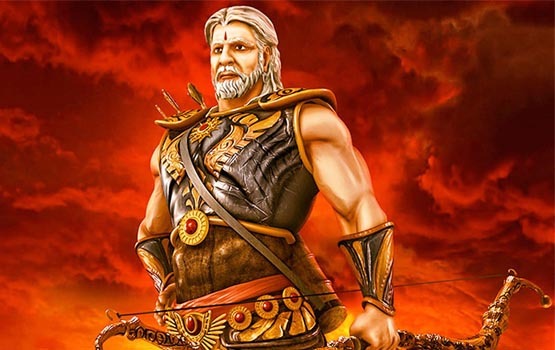 To fulfill his Bhishma's father desire Bhishma took a great vow that he would never inherit the throne and would not rule the kingdom and he would never marry also because his sons might have right to inherit the throne. This is why Devavrata was called as Great Bhishma. When Bhishma was lying on the bed, on 17th day of Kurukshetra Pandavas and Lord Krishna God and Draupadi went to Bhishma. Bhishma as a grandfather in his final moments tried to teach Pandavas about which is right and which is wrong. Suddenly Draupadi laughed. This made Bhishma angry because she did not show any respect to elders and that too laughed when he was in a helpless position. She said like these "Both Duryodhana and Shakuni made a plan to sent Pandavas to exile by playing the dice game with magic dice and they made Yudhistira to bet me also and Dushashana tried to disrobe me and I was finally rescued by Lord Krishna. You were in the court when these all things were happening but you never uttered a single word to those incidents. You did not differentiate between right and wrong at that time but how can you explain about them to your grandsons now. Shikhandi was the woman named Amba in his previous life. The actual story of Amba is like this. It was the time when Vichitravirya was ruling the kingdom. Bhishma head about the three daughters of Kasi named Amba, Ambika, and Ambalika and they have the choice to select their own husbands on their decision. He went to Varanasi and took three princesses upon his chariot. So many kings and monarchs surrounded Bhishma and Bhishma fought with them and brought princesses to the kingdom. Bhishma prepared to do his wedding. Everything was set to marry for the eldest daughter of Kasi and Vichitravirya. Amba told to Bhishma like these, " I have chosen Saubha as my husband in heart and he accepted me as his wife. This was also approved by my father Kasi". Bhishma released Amba to go and let her marry with Saubha but Saubha refused to marry her because she was in contact with another man(Bhishma). Bhishma married remaining two princesses to his brother Vichitravirya. But remained single. She developed so much hatred and angry on Bhishma and thought he spoiled her life. She wanted to make Bhishma death. Amba prayed to Lord Shiva and asked for her desire as the boon but Lord Shiva said that can be done in another life but not in this life. She died on herself with so much of anger. She born again as Shikhandi and took her revenge on Bhishma in Kurukshetra war. Shikhandi was the main reason for Bhishma death. This is all about the story of Bhishma Mahabharat and his greatness and unknown facts. Bhishma Mahabharata has remained as the great warrior and greatest sacrificer the epic has ever seen.